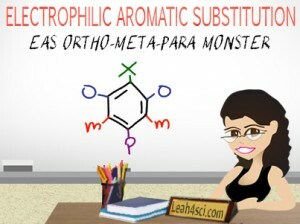 This video shows my fun trick for easily recognizing ortho, meta, and para substituents on a disubstituted benzene. This will be extremely important once you start reacting substituted benzene. This is Video 9 in the Electrophilic Aromatic Substitution Video Series. Click HERE for the entire series.